Traditionally, banshees have been thought of as messengers of death who roam Ireland and the nearby Islands. So if you’re traveling to those parts, and you hear a piteous moan in the deep of the night, beware, especially if you have Irish ancestry. According to legend, every Irish family has their very own banshee that warns them of an impending death. But do banshee’s really exist or are they mere myth? Well many throughout history have sworn that banshees are real. Tales of banshees can be traced to the early eighth-century. Even today, belief in banshees is widespread in Ireland. 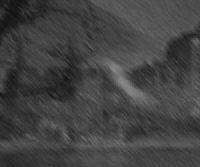 In fact, some pictures were recently taken of a supposed “real” banshee, and I’ve added them to this webpage. However, the person who sent them to me wishes to remain anonymous, and whether they’re the real thing or not remains unknown. 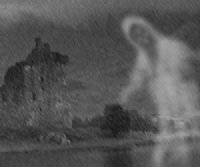 But similar to the horrifying specter in the photos, the banshee has often been described as a small woman with long white, blond, or auburn hair. Normally, she appears in the vicinity of the birthplace of the soon-to-be deceased. She’s generally seen in the common clothes of a country woman, usually white, but sometimes grey, brown, or red. According to legend, she’s often seen combing her hair as she laments, but truth be told, she’s heard more often than seen. The wailing begins as she approaches the home of the soon-to-be deceased, and generally occurs late in the evening or during the wee hours of the morning. Sometimes a banshee will perch on a windowsill like a bird, where she’ll remain for several hours or even days—until death comes to call. Often, as the banshee escapes into the darkness, witnesses have described a bird-like fluttering sound. Thus, many believe that the banshees is a birdlike creature. The “bean-si” or Gaelic, “bean-sidhe” actually refers to a female dweller of a “sidhe,” or a fairy mound, which implies some sort of fairy being. However, the banshee is very different from what one might think of as a fairy and would more aptly be defined as a ghostly entity. All alone and wary of human beings, the banshee searches endlessly for the next soul to pass into heaven. But in mythology, the banshee was linked to the fairies as being part of the mystical race, Tuatha De’Dannan, which the fairies descended from. 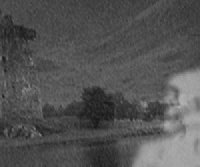 It just shows that though the banshee is a commonly known figure, the familiar specter remains steeped in mystery, and there are many theories to account for banshee sightings. Some even speculate that the banshee is some type of devil or demon-like creature who wails for the souls that are lost to her as they ascend to heaven. It has also been suggested that banshees are familial guardian angels, the souls of unbaptized children, or even the souls of women who committed the sin of pride in life. Another outlandish theory is that banshees are the spirits of the “keeners,” old women who were paid in drink to weep at the graveside of eminent figures in the community during earlier times. Though the Church didn’t approve of being associated with these women, the keener’s employment was necessary, nevertheless, since a person’s status and respect was measured by how much the deceased was mourned after death. It is thought that these keeners might have been so dutiful, that they followed the family they mourned for even after their own deaths. But it’s important to remember that as fearful as the banshee is, she also has a good purpose—to assist the close family through the grieving process by allowing them to accept the upcoming death of a loved one. Generally, the banshee is heard only by non-relatives and friends, not close family members of the dying. Even friends from afar could hear the dire mourn and could travel a great distance to support the family. Some of the Irish families that emigrated to the USA, seem to have brought their family banshee along with them. However, for the most part, banshee sightings have been limited to Ireland where the banshee still grieves for the family member near the traditional family home even in that person’s absence. The Irish aren’t the only ones who have these ghastly harbingers of death. In Scotland, the folks dreaded the feared “bean-nighe,” a spectral washing woman, thought to have died in childbirth. In death, the poor soul is often seen near bodies of water, washing the shrouds of those who are soon to die. Though, like the Irish banshee, the bean-nigh is a frightful apparition who sings sad dirges and wails hideously, if questioned, the entity will tell passersby who it’s waiting to take to the afterlife. However, like the banshee, it would be unwise to pester or bother the bean-nighe as this could lead to horrible misfortune. 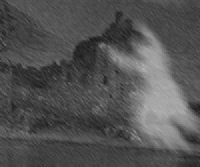 Well, it they look anything like the spirit depicted in these pictures, who’d dare approach it? Here’s an ancient lamentation that any banshee would adore. Hello, I check your new stuff like every week. Your story-telling style is witty. Love your site! Keep doing what you’re doing!